HANXIANG "HX" brand, H04E7-600 -type stockings machine is controlled by the computer system with four weaving system and single cylinder jacquard stockings knitting machine, The machine uses an independent exhaust fan or central exhaust systems for stretch fabric, the Machines equipped with no torsion device, the cylinder direct drive servo motor rotation to reduce driveline and transmission error. 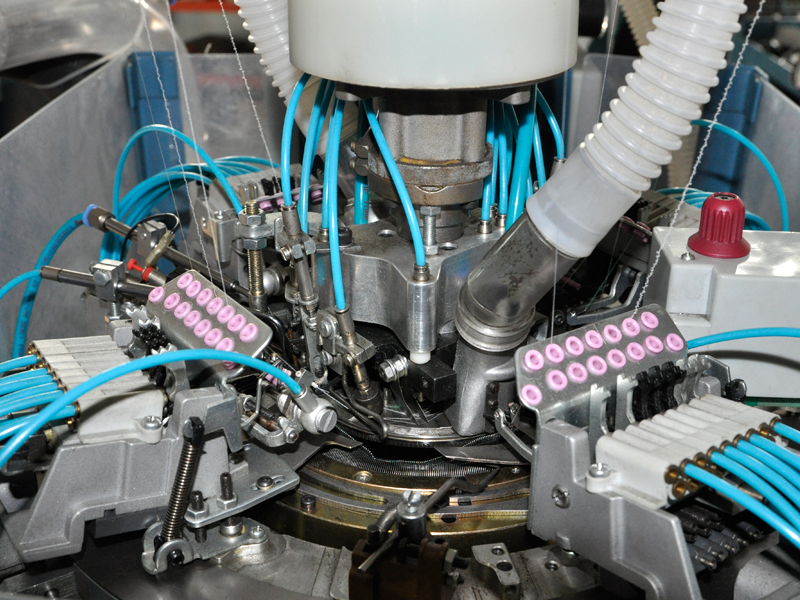 By the three stepper motor control Shengke eyebrows and control cylinder to lift.it Can produce different density. 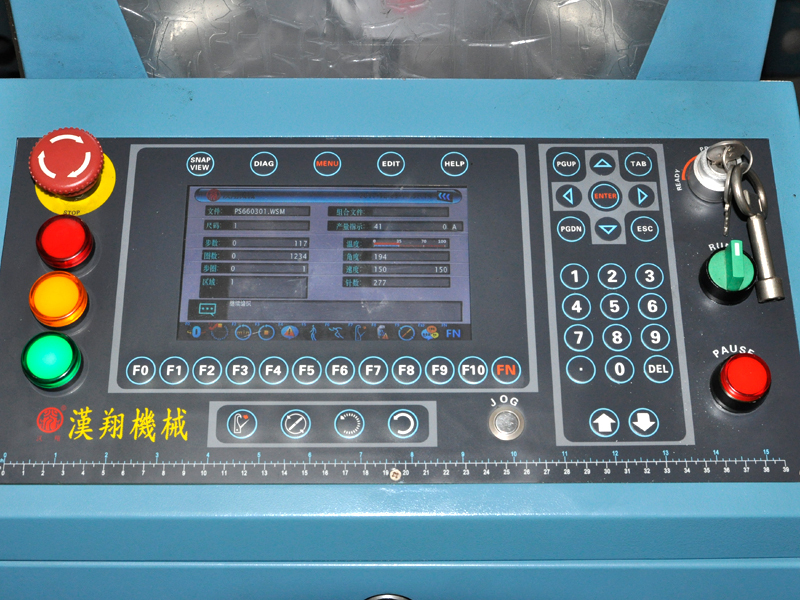 Pressurized oil to lubricate Knitting and Sinker and needle selection tablets, the Computer control the whole process of making socks and Style and quality. 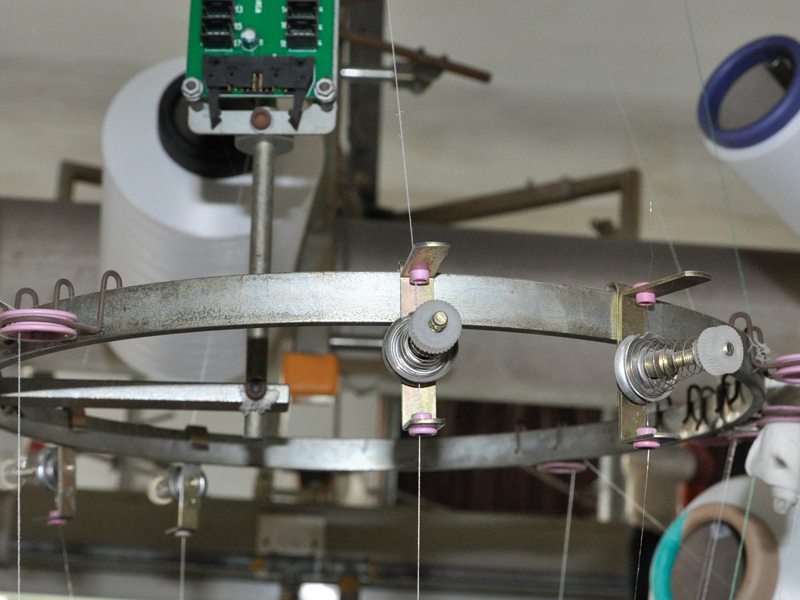 In order to achieve the best results for jacquard, Yarn bobbin using lateral movement, The veil , bottom yarn , dyed yarn to achieve the best angle. 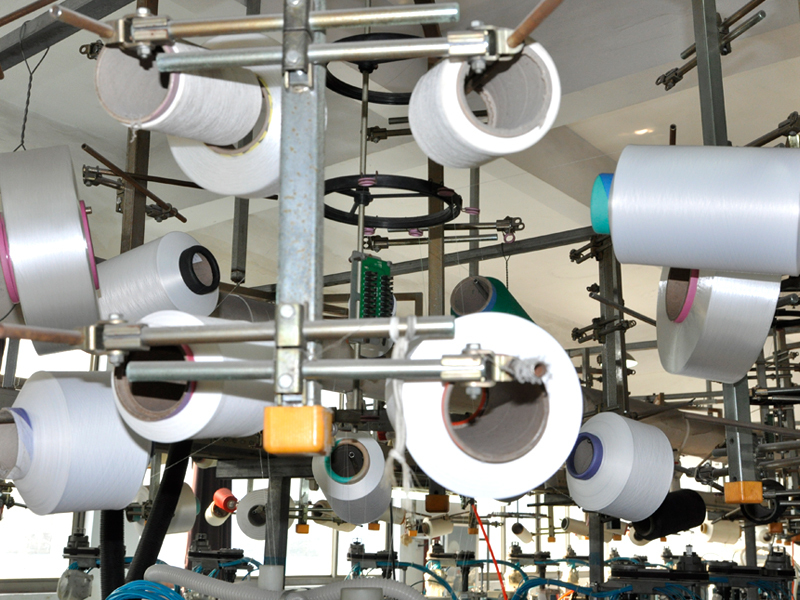 The machine can use synthetic fiber , rayon and bare spandex yarn and Covering to produces stockings, The main productions are short socks , stockings , pantyhose and other types of socks. 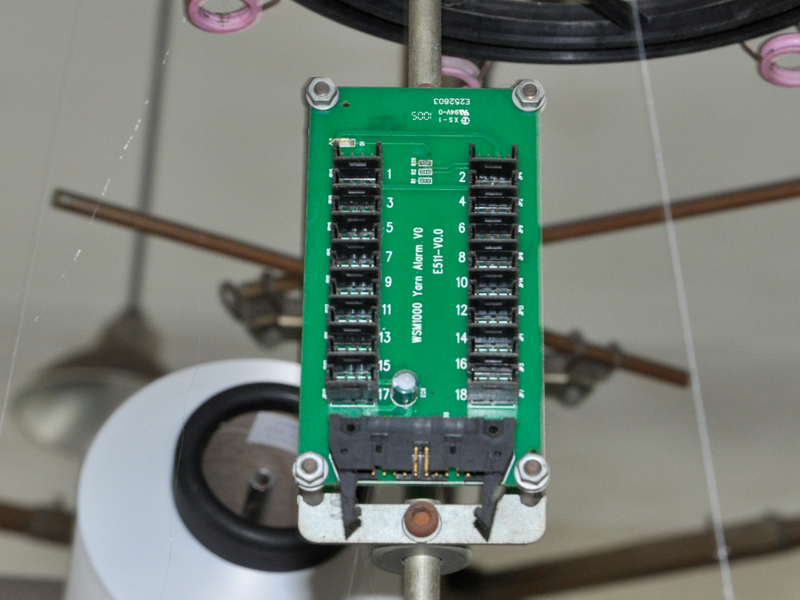 Needle selector: each feed have a needle selector with 16 Piezoelectric off. Density adjustment: divided into cylinder, density triangle , raw grams triangle, three parts , adjust the density of the fabric . oil system: automatic supply oil system. 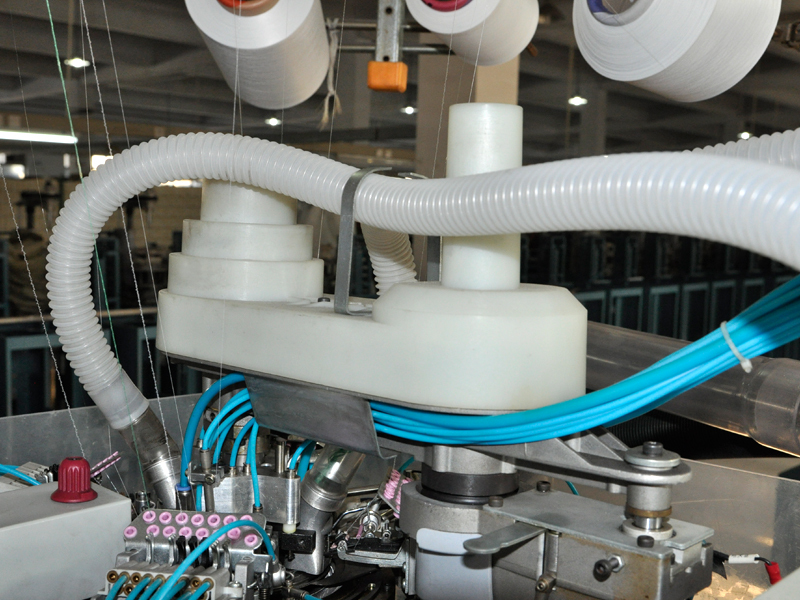 1 Waist belt: The waist belt rise or fall control by pneumatic,have 2 work positions,knitted the waist belt at high position and knitted the fabric at low position. 2 Clippers device: The clippers rise and fall control by pneumatic. if yarm not cut off hall alarm automatically,also can blow the air to clean the slit up yarn and reduce the machine breakdown. 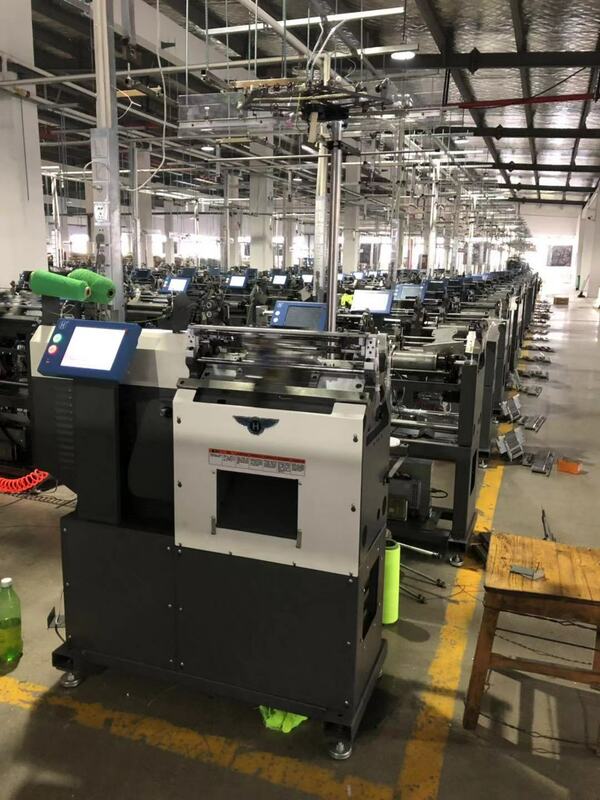 3 Stitch density: The stitch cam have enter and exit work position function.can knil multiple feeders pattern,also have work status test function and machinc in abnormally starus shall auto-stop and alarm. 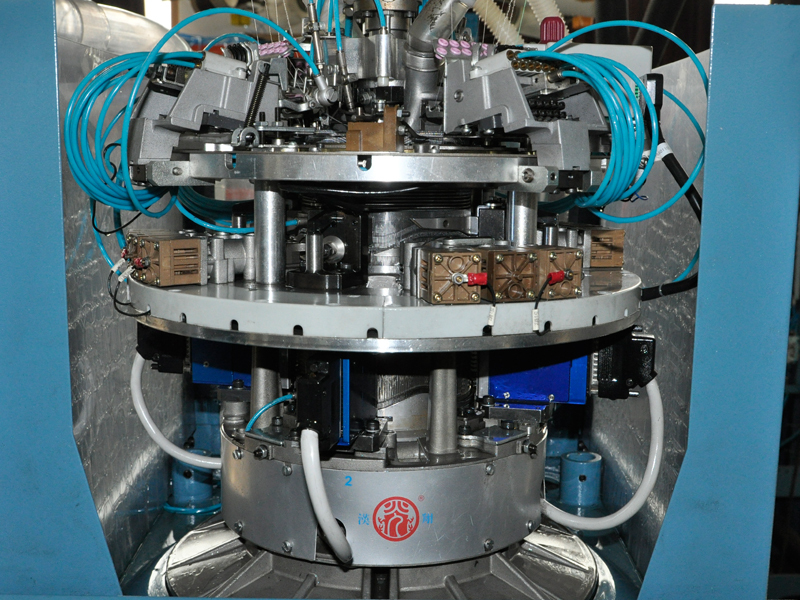 Adopt cam and air cylinder to achieve the stitch adjust without interval.Machine equip the high speed stcpping motor will achieve the 3D function. 4 Actuaror: Adopt 16 leves electric ceramic actrator. 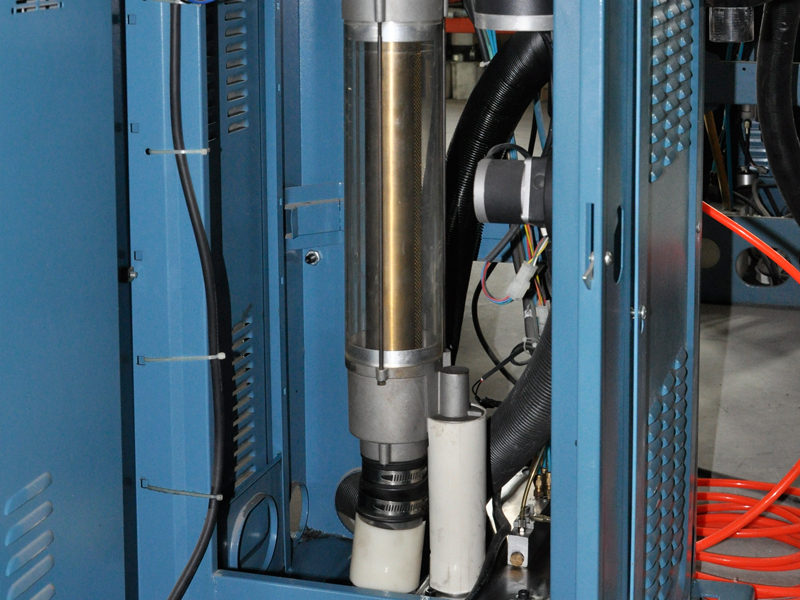 strueture easily reliable low energy consumed ahd low generate heat. Cylinder up/down; the cylinder rise and fall eontrol by stepping molor,which can substantially adjust the stitch density.The cylinder height position shall decide the stitch density basis value. 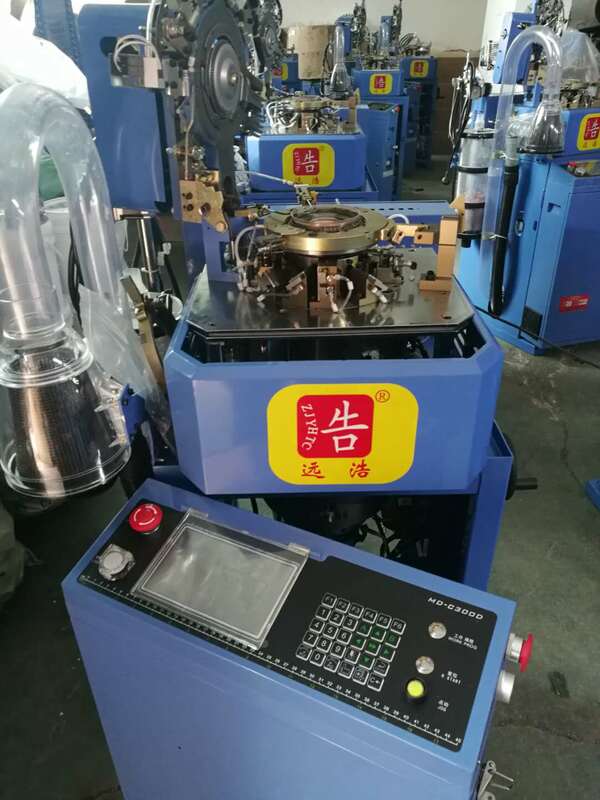 5 Lubricate:Lubrication by mechanic control,which lubrication during macking revolution,because the pantyhose machinc is high speed runing and must continuous lubrication when machine revolution,which control the temperature rises and reduce the machine abradc. 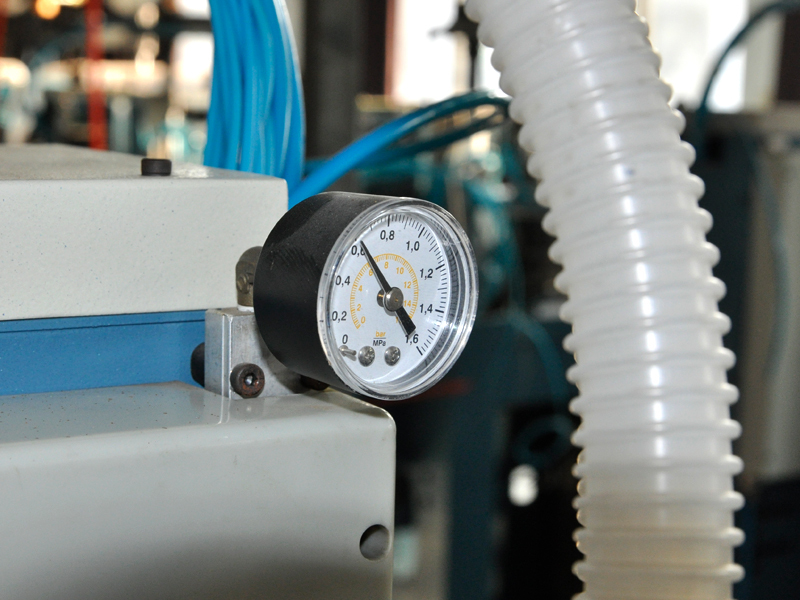 6 Air compressor:To have functions of drainage.air pressure adjustment and alarm or lack air pressure. 7 Yam feede: 4 feeder,each feeder with 6-8 yam fingers and each finger with 2 work positions. 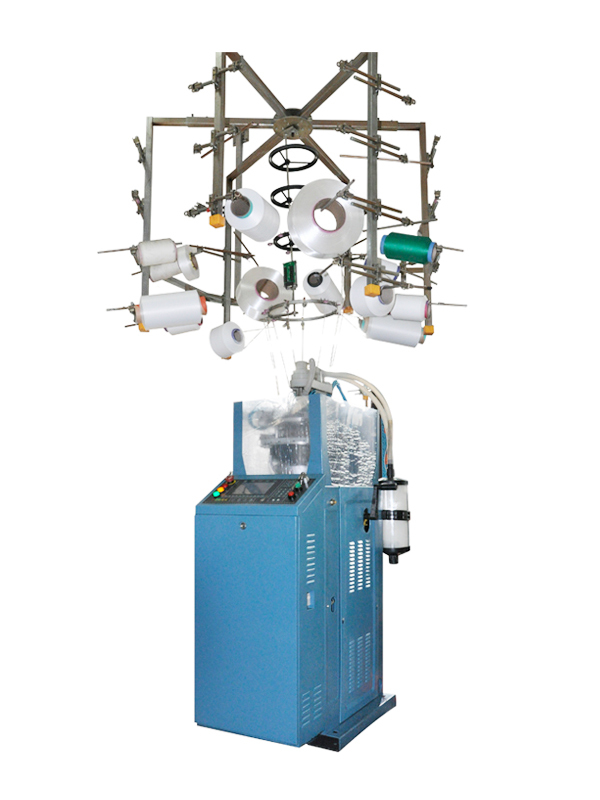 Change yam finger by pneumatic control, cach yam finger with high and low 2 work positions,the yam figer can move to left or right and knit the jacquard pattem. 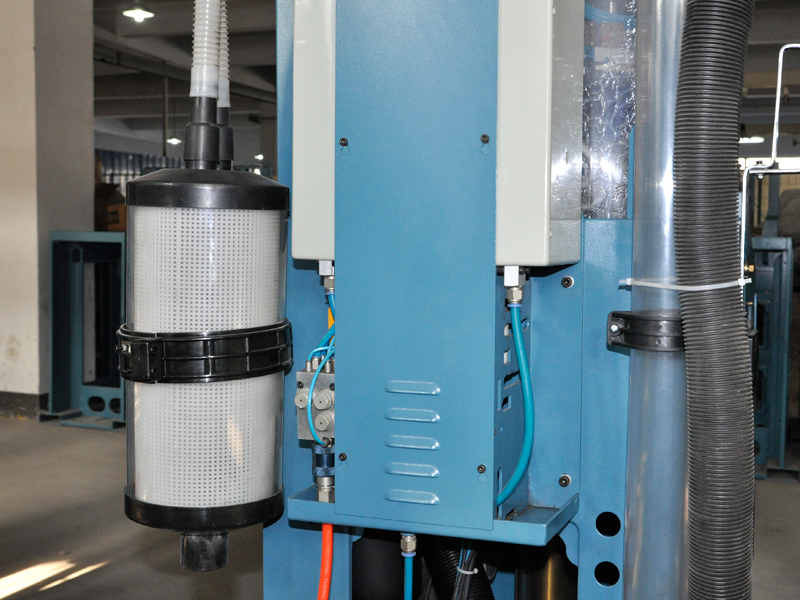 Whole yam finger device can bottom over,which easily for maintenance. 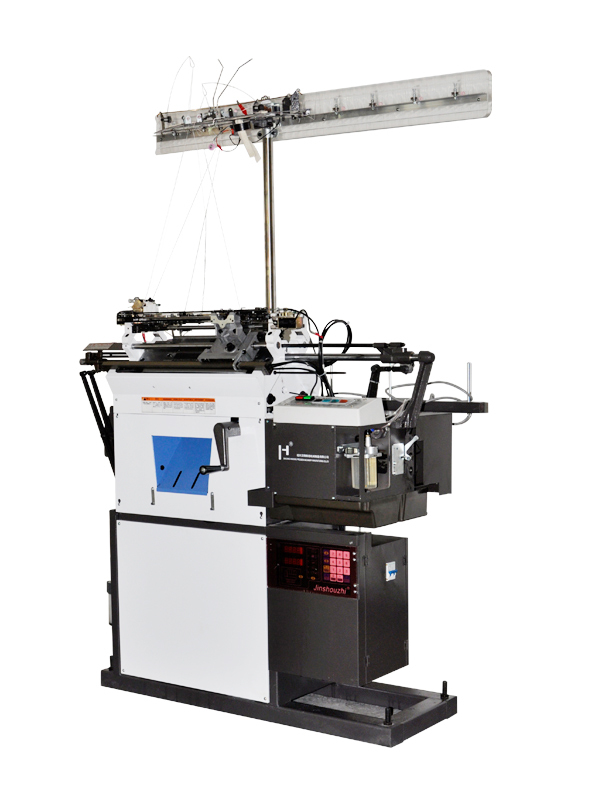 8 Drop hood:Control by 2 stepping motor though rough adjust the 2sets cam position with stitch press cam to achieve the fabric stitch density adjustmen, mainly uscd to achieve the take down width for knitted rib pattem. 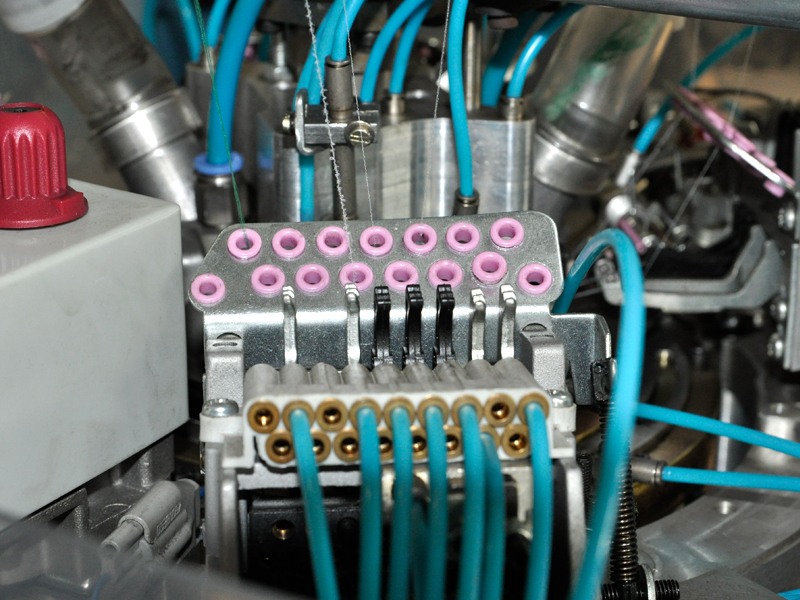 Another stetting molor can adjust the posifion of dropt hood. 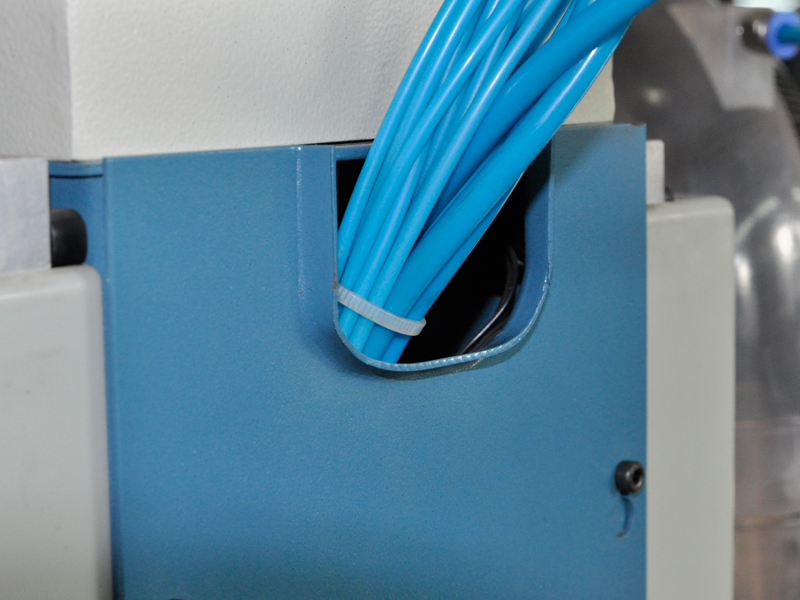 9 Dial jacks: Control by electric magnetism vale.avoid pantyhose machine rewolution by high speed and knitted waist belt pattem. shall bring needle miss and make fabric defective. 10 Take down:The take down device control by suction and structure simply,enable the knitting fabric pulling foree even ahd without spoil the fiber of knitting fabric.The resist twist device prevent the twisting for wrinkle during knitted the fabric with hosicry tube bring the proportion rub and damage the fabric, which cnhancc the fabric surface quality. 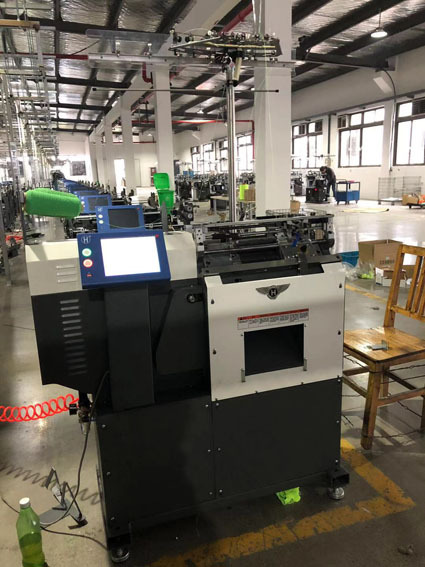 11 Manual operation:Adopt fold type.which easy to maintain.the limit position protect control by pneumatic: I Ensure during the machine revolution will not use the manual operation;2 During use the manual opcration, machine will not use the motor driven.